It’s that time of year. Yeah, we may sometimes feel like we’re in survival mode with eager tallies marking how many Mondays are left in the school year, but as much as we might be counting down, we’re also starting to plan ahead for next year. We’re waxing reflective and submitting school supply lists to the office. And as soon as we wave goodbye to the last bus pulling out of the parking lot, it seems like Target trots out their Back to School displays. As you put together your supply requests and fill up your cart with discounted supplies, I’d like to make an argument for the most essential school supply on your list: a notebook. Sure, I love my colored pens, sticky notes, and chart paper. I’ve tinkered with different binder organization systems. But if I was forced to choose just one school supply to help me ensure that all of my students will be successful, it would be a notebook – hands down. A notebook is essential because if we really want our kids to engage in meaningful writing, we have to give them space to explore that process. And all the looseleaf, graphic organizers, and handouts in the world just can’t do that. You know what I’m talking about with the handouts: color-coded packets stapled together and made up of boxes, bullet points, and fill-in-the-blank thesis statements. Fill in all of the boxes for the green page, and you’ll be ready to turn it into an introduction. Complete every bullet point in the yellow sheets, and your body paragraphs will practically write themselves. I’ve done it plenty of times. The intentions are good. We want our students to have clear directions. If they simply follow these step-by-step directions, then we know they’ll get a good grade. Sure, the intentions may be wonderful, but is it real writing? The process may be streamlined, but is the purpose really clear? Do students understand why they’re writing or for whom? And is putting together a bunch of slips of paper really what the writing process looks like? Yes, the directions may be clear, but they beg so many more questions: Why would they want to write? Where’s the creativity? The growth mindset? What happens if a thought doesn’t fit neatly in a blank? Do you scrap the whole packet? When do we let students do their own thinking? If we move away from the packets and step-by-step directions, notebooks can help us answer these nagging questions. There isn’t much that makes me happier than seeing scribbles, arrows, and rewrites because it means they’re thinking! Notebooks allow for play, mess, and creativity. If a student writes a paragraph that ends up getting scrapped, it’s not such a big deal. They move on to the next page. They draw an arrow. They write in margins. But if that happens on a handout with fill-in-the blanks, the implication is that it’s somehow wrong. My own notebook is a holy mess of lists, arrows, scribbles, and eventually, through that process of sorting through the mess, my thinking is shaped into writing. By allowing our students to engage in this mess, we are encouraging students to make mistakes, to grow their thinking, and to take on the hard work of thinking and writing. Notebooks can ground writing in more authentic purposes and formats. There’s something about worksheets and handouts that just scream school. Who reads them? Teachers. And only teachers. But the notebook is personal and has endless possibilities. It’s a place where you keep your thoughts before you’re ready to share them with an audience. Sometimes you’re the only audience – and that’s enough. Sometimes you share your notebook with a trusted friend. And sometimes you transfer your thinking to another platform for a wider audience. When I think about my own process, just about every blog post, story, or poem, starts in my notebook as a bulleted list, a scribbled idea, or a messy free-write. The blank space of notebook pages hold more possibilities because they don’t draw lines that confine the audience to a teacher. It’s a tricky balance, though. A really tricky balance. Our intentions in those writing packets and graphic organizers were to make our expectations clear, and we don’t want to sacrifice clarity for the sake of creativity. So how can we scaffold and support our students’ writing in more authentic ways that honor a more authentic writing process? Mentor text folders: Whether it’s a digital or paper folder, keep a designated space for students to keep their mentor texts. When they’re wondering, “wait, what comes next after I’ve stated my claim?” this is where they can look back to see how the pros do it. And, better than a fill-in-the blank handout, a bank of mentor texts that you’ve studied together will offer multiple ways to do it and real-world examples of what it looks like. Charts: When studying mentor texts, it’s important to ground the instruction in asking students what they’re noticing about how the piece is written, but there’s nothing wrong in bringing the class back together to compile those noticings as “how-to” reminders. Whether you keep them as classroom wall charts, mini-charts that they staple into their notebooks, or digital charts that they access on their drive, they’re an added layer of support when they need a “how-to” reminder. Model the process yourself: It’s easy to let this one slide, but modeling the process yourself can provide some of the most valuable minutes you spend during your class period. Show students your own messy notebook. Whether it’s through a document camera or on the board, do some of your writing in front of and with your kids, and while you’re doing it, think aloud about what’s going on in your head as you’re trying to put your thoughts together in a coherent sentence. This is hard, hard, work to do, but letting students see our own process brings new, real clarity to the writing process that they just can’t get with a packet. Not sure about notebooks? Challenge yourself to embrace the mess and play with one this summer! 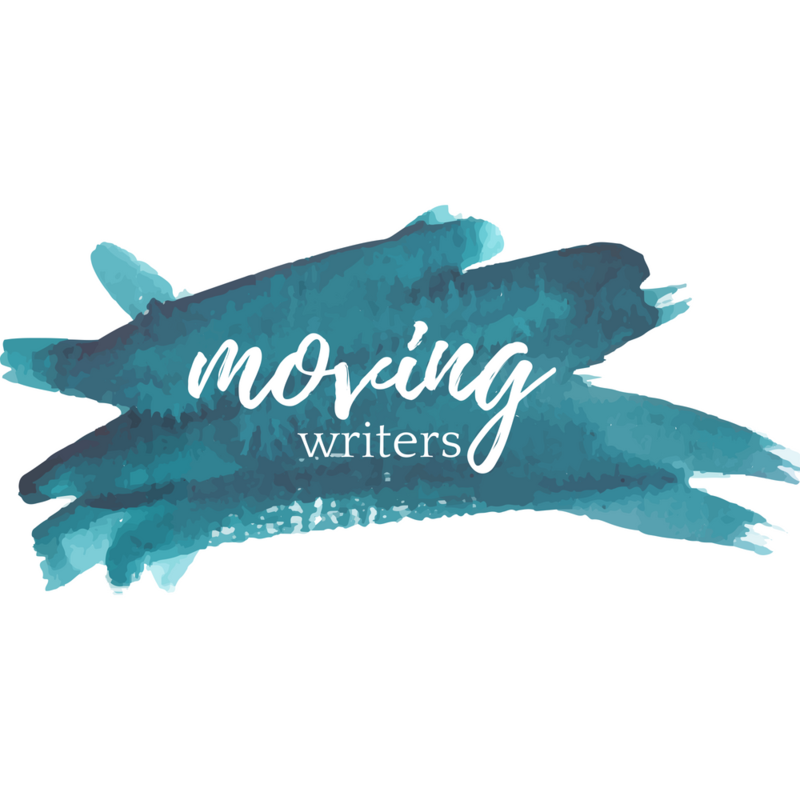 Moving Writers is hosting a 100 Days of Summer writing challenge for you and your students! Join us as we play, get messy, and most importantly, write with our kids! Peter Elbow said student need a private place to practice and experiment. I have used blue exam books, but showed my own journal. I do not read or grade these journals. While I give a quote to get them thinking, students are not bound by it and may write on anything. The goal is to write for 5 sustained minutes. Somewhere around January they start asking for another minute or two to finish up. Your points were really thought-provoking, given that I juggle having students use their notebooks or online and printed handouts. I also noticed your chart image had Spanish translations. Is this something you’ve had to do for English Language Learners in your classes?